take an animal to help them. will give them strenth in turn. 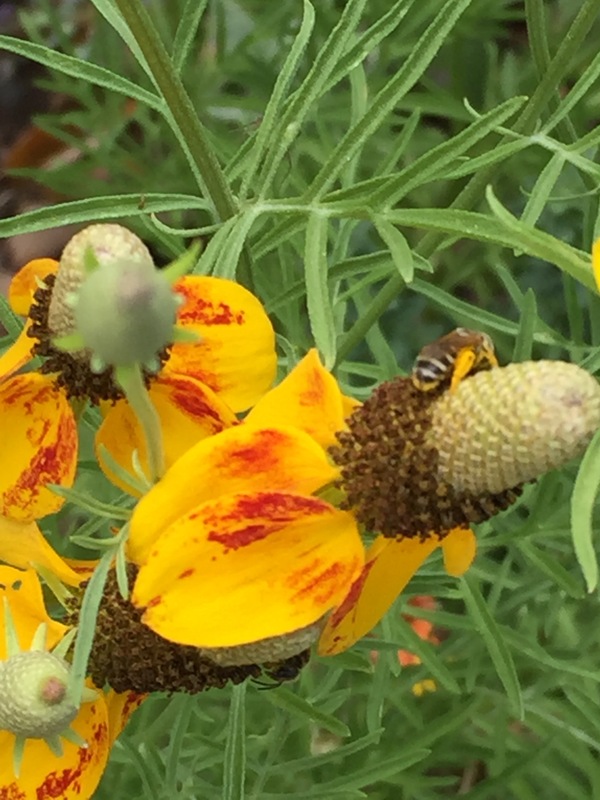 A bee friend and mentor sent me a link yesterday…Reuters News reported seven kinds of bees once found in abundance in Hawaii are now facing extinction. Other bees with such charming names as the Rusty Patched Bumble Bee and the Yellow Faced bee have been placed on the endangered list in the Midwest and Northeastern U.S. Another European study has found Drone’s bee sperm plunging by 39 percent from Neonicitinoids. Bees are not just dying off, they aren’t being born. The North American Monarch butterfly is in danger of becoming “quasi-extinct”, whatever that means. I don’t even know what to do with this kind of news. It is coming so hard and fast. All the beautiful creatures that we’ve taken for granted, mostly ignored, left as an unobserved treasure trove, except by a handful of scientists. All these little ones are now leaving us. And our days and years fly by so fast that we don’t even take time to mourn such a tremendous loss. That is the greatest tragedy.